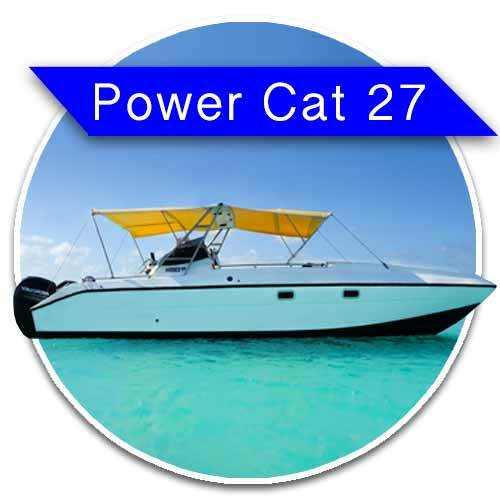 The Power Cat 27 is our most popular boat. Perfect for groups up to 10 people, small families our couples, it’s design for comfort. 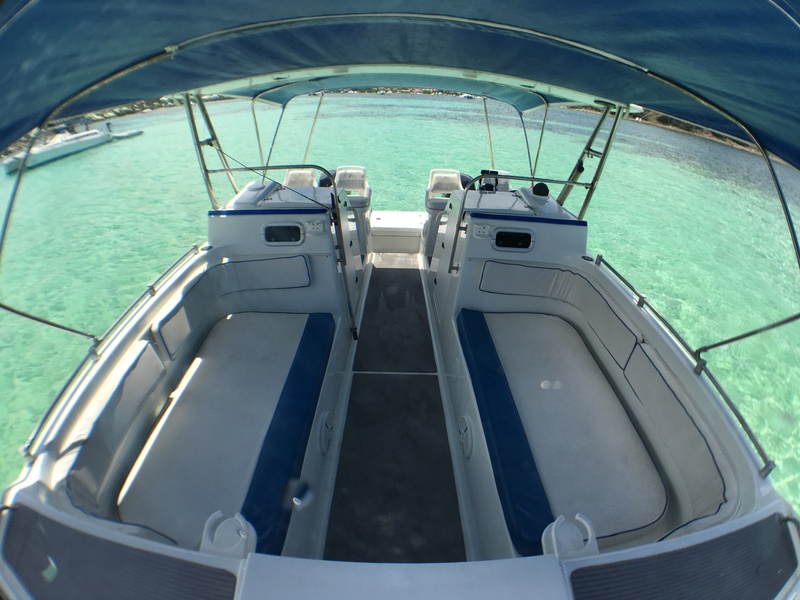 Fully cover of shade with it two full side sitting area, a sunbath in the front, super stable, this boat is able to go in shallow waters to get you really close to the beaches (so close that you can just walk). 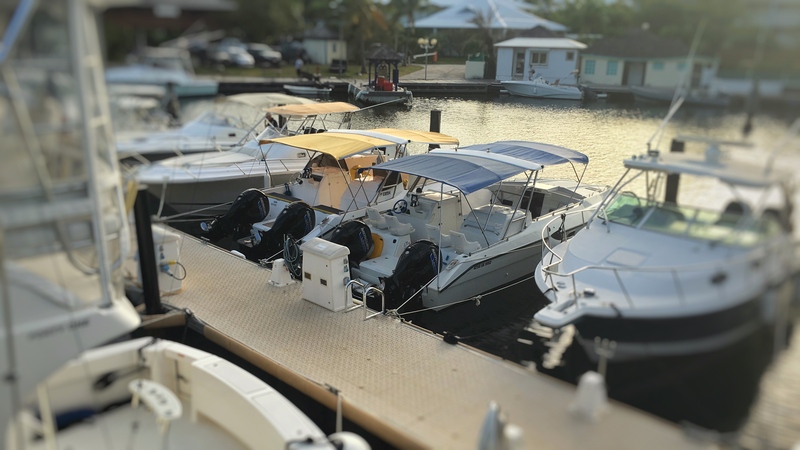 Equipped with a open bar, a cordless Margaritaville blender, regular snorkeling gears and the brand new Face masks (easybreath), noodles, life vests, bean bags… our power Cat have everything to make you spend some great time! 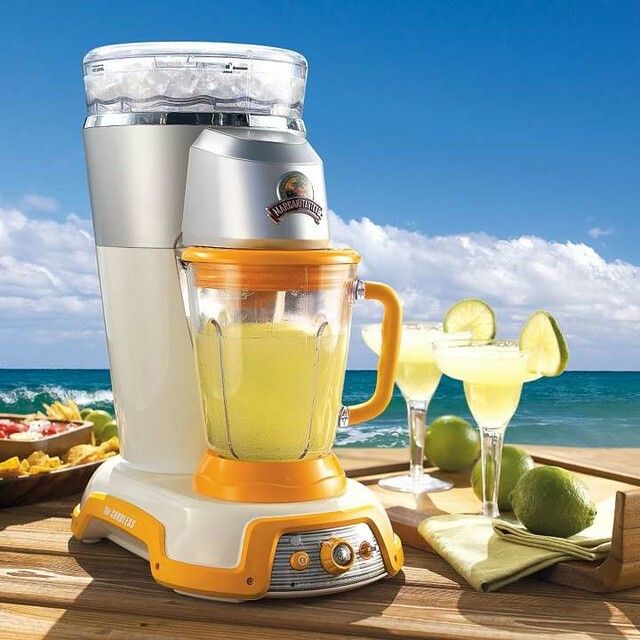 Enjoy a Piña Colada in paradise with our cordless Margaritaville Explorer Frozen Concoction Maker. With no need to plug it in, we can venture out for a party that’s off the charts. Being battery-powered, it can whip up frozen, restaurant-quality drinks anywhere, anytime. Taste a fresh cocktail after some snorkeling or watching the sunset. The main obstacle to snorkelling is the difficulty in breathing underwater with a snorkel. 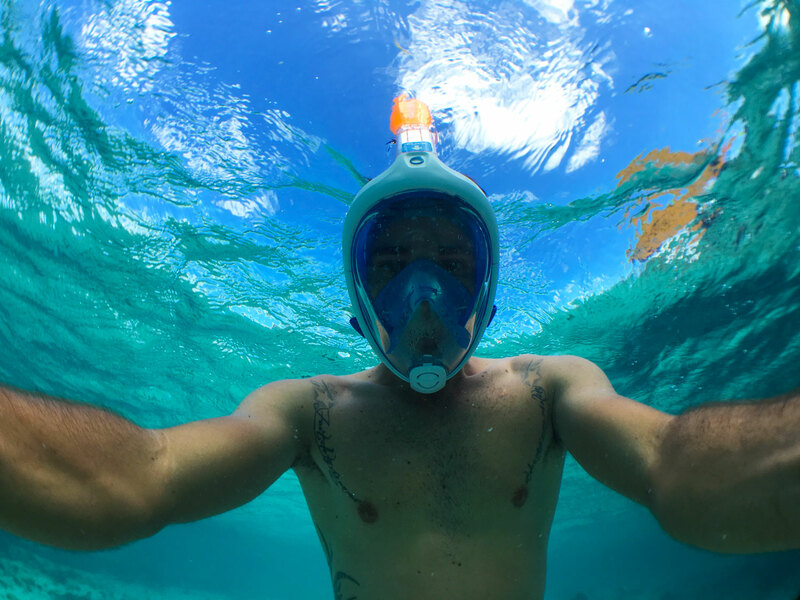 Indeed, breathing through your mouth is unnatural, and the snorkel mouthpiece is sometimes considered too intrusive, uncomfortable and unhygienic.That’s why Tribord invented the Easybreath, the first full-face snorkelling mask, for breathing underwater as easily and naturally as you would on land with your nose and mouth. Thanks to its large size, this innovative mask also offers users an unobstructed 180° field of vision, and is prevented from fogging up by a double air-flow system that is identical to the system used in domestic extraction fans. The Lamzac is a comfortable seat or sofa for two that you can fill with air within seconds using our unique filling technique. While the Lamzac is large and comfy when you use it, it is easily deflated and stored in a small package allowing you to take it anywhere you want! As a result the Lamzac is the perfect buddy for all your outdoor activities such as travelling, festivals, beach trips, hanging out in the park and much more. Meanwhile the lightweight but strong and durable fabric will ensure that you can use the Lamzac over and over again. 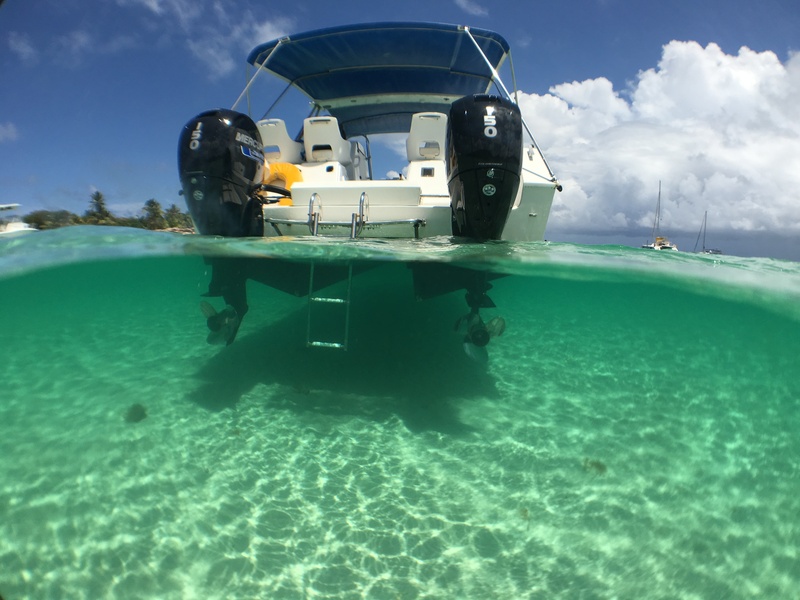 Our boats have all the safety gears and floatation devices. From the simple noodle, to the inflatable floating vest. 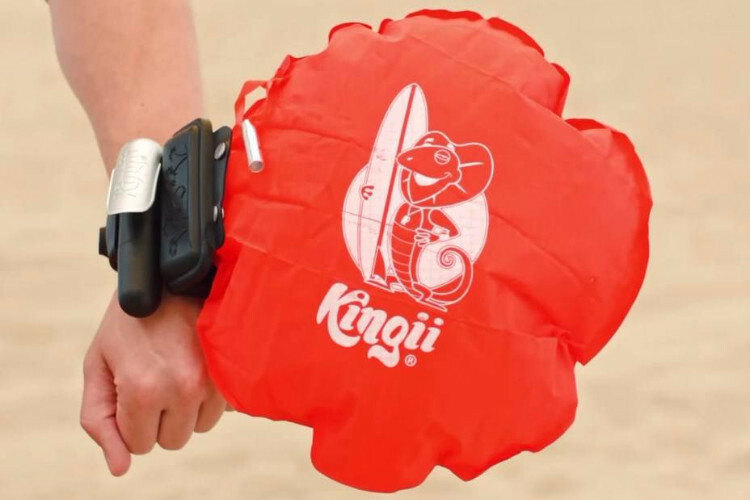 We also have few KINGII, a wristband for all those who love water, but don’t feel super confident about swimming. If you need help to stay afloat, pull the lever and an inflation bag will pull you to the surface. 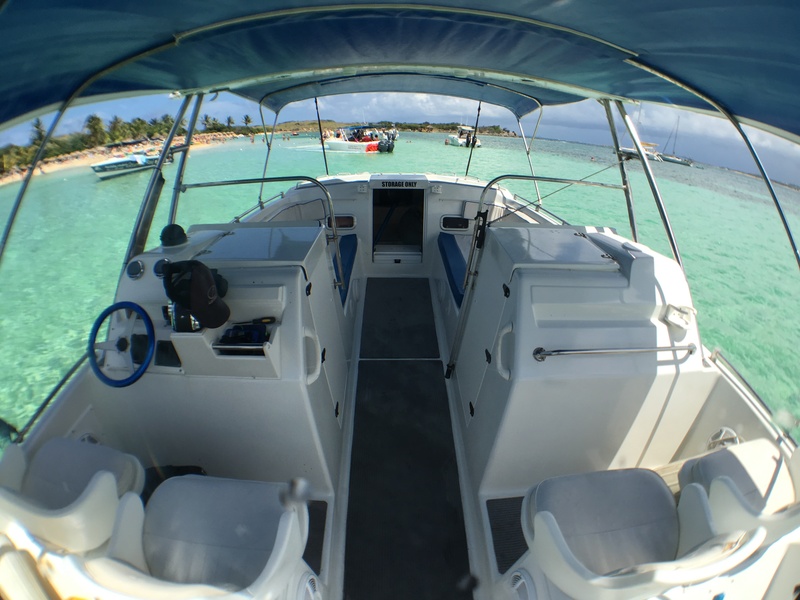 Our Boats are located at the Anse Marcel Marina, just in front of the Hotel Riu Palace St Martin. Anse Marcel offer free and safe parkings to accommodate our guests. 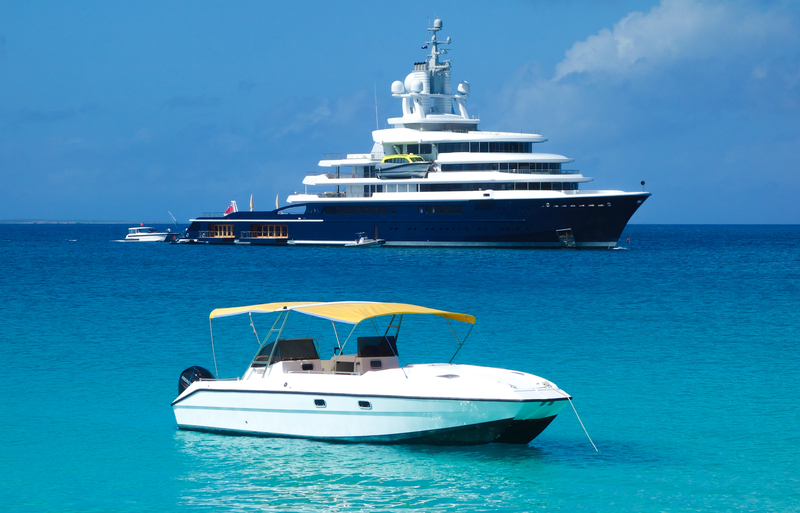 But we can organize your pick up on several places on the Island and also arrange transferts if you are coming from the Cruises Ships. We do pick up for free also in Grand Case directly in front of your hotel. 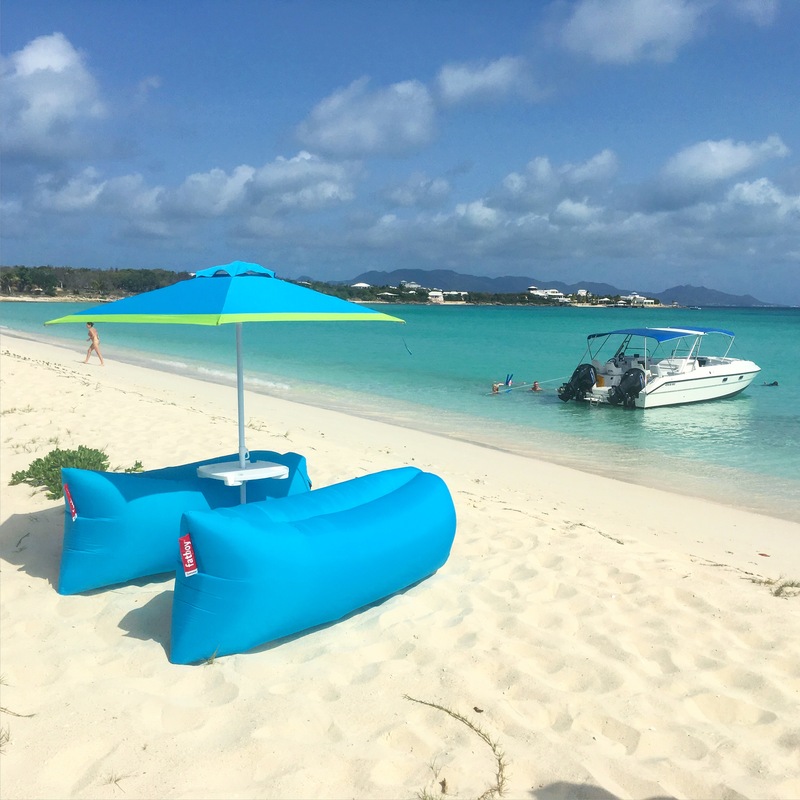 The Grand Case Beach Club has a floating dock where we can take you. And when the sea is not too rough we can take you by the beach (in front of Le Petit Hotel, Blue Emerald, Calypso, Temps des Cerises, l’Esplanade…). 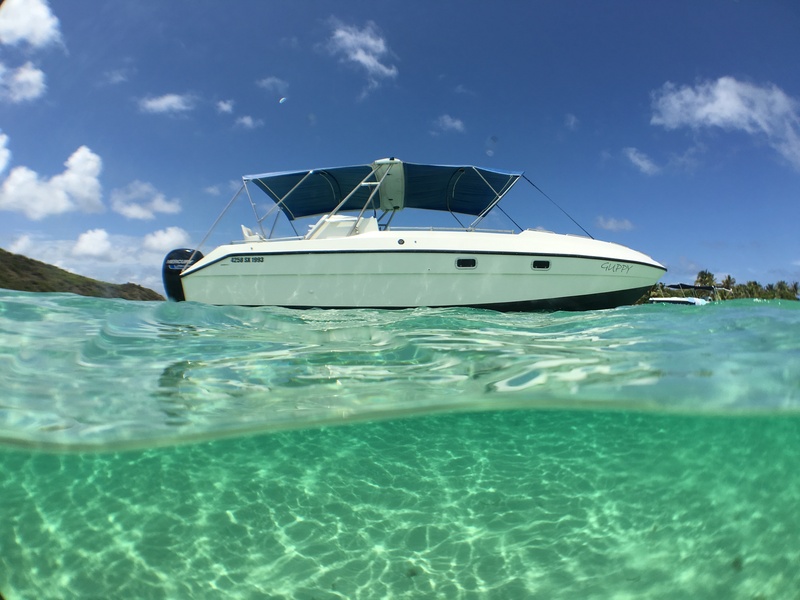 For our guests located around Marigot we can organize your pick up at Marina Fort Louis (but we add $60 for the extra gas). Then for our guests located in Terre Basse area or on the Dutch side we can come at the Dream’s and Sand restaurants (here we add an extra $100 for the extra gas). And Porto Cupecoy (here we add $150 for the round trip). To easily find us you can use the following Google Map Direction on your smartphone.